Among the many details of a home to consider, hurricane shutters can be as beautiful as they are functional depending on the style that you pick out. While not every option adds curb appeal to a property, the best shutters are those which combine style with functionality. Keeping the resale value of your home high, hurricane shutters are an investment worth looking into if you live in a part of the country stricken by violent windstorms. Knowing which options exist can help you protect your property and home’s value. Some of the most common types of hurricane shutters you’ll come across while shopping for your home are listed below along with a list of pros that come with each style. The choice is ultimately yours, but finding the right fit for your home becomes easier with the assistance of Palm Coast Shutters & Aluminum Products of Vero Beach. Also known as Bermuda Shutters, this window covering offers sun protection while providing a distinctly island-like look to homes. It’s not unusual to see this type of hurricane shutter in tropical settings as it adds to the visual appeal of properties. The benefits of installing Bahama Shutters is that you’re able to easily regulate the temperature inside your home thanks to the ability to leave the shutters open, partially open, or closed at any given time. They also provide extra protection from prying eyes, making your home look and feel more secure year-round. This type of hurricane window protection remains popular for several reasons. First, it’s similar in appearance to the vertical blinds you see inside homes. Next, they open and close in the same fashion. Exterior Accordion Shutters are stabilized by locking pins that keep them closed in the event of a hurricane. They can be shut quickly, increasing their usefulness and security because of their roll-and-lock feature. At the push of a button, Rolling Shutters close. They’re among the easiest to install and use in homes of all sizes, especially multiple-story properties with windows. This shutter style provides blackout conditions which increase security and peace of mind for homeowners. In addition to providing protection from harsh winds and torrential rain, Rolling Shutters are also a theft-deterrent. Among the most unique options available are those made of corrugated clear plastic. The advantages of buying and installing Clear Hurricane Shutters is that you’re able to keep your home light and inviting. It doesn’t feel dark and unwelcoming due to the protective shutters covering the windows. The lightweight material is durable, warp-free, and thinner than the average plywood people use to protect their homes during hurricane season. 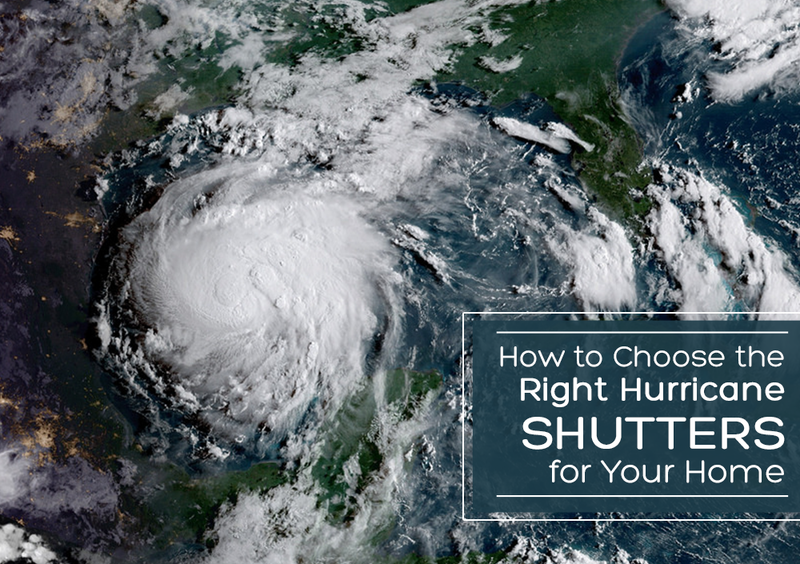 Knowing which hurricane shutters best meet your home’s needs takes time and patience. Once you’ve discovered a style that fits the exterior of your property and are pleased with it aesthetically, your work is done. There is little maintenance involved with keeping hurricane shutters looking their best and doing the work they were created for – protecting your home from the damage caused by destructive storms.